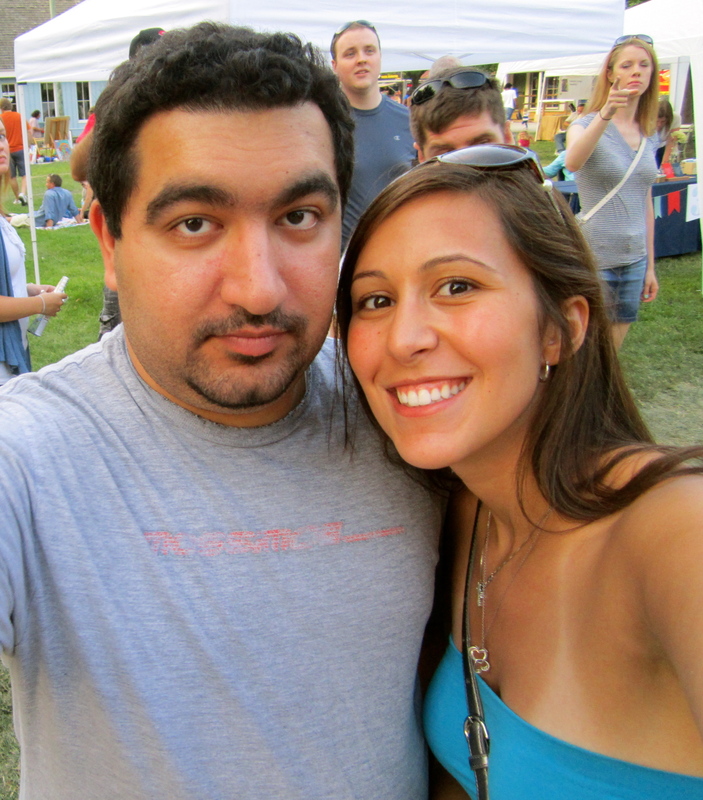 Yesterday Husband and I went to a food truck festival, SO MUCH FUN. Who would’ve thought such yummy food could come from a food truck? 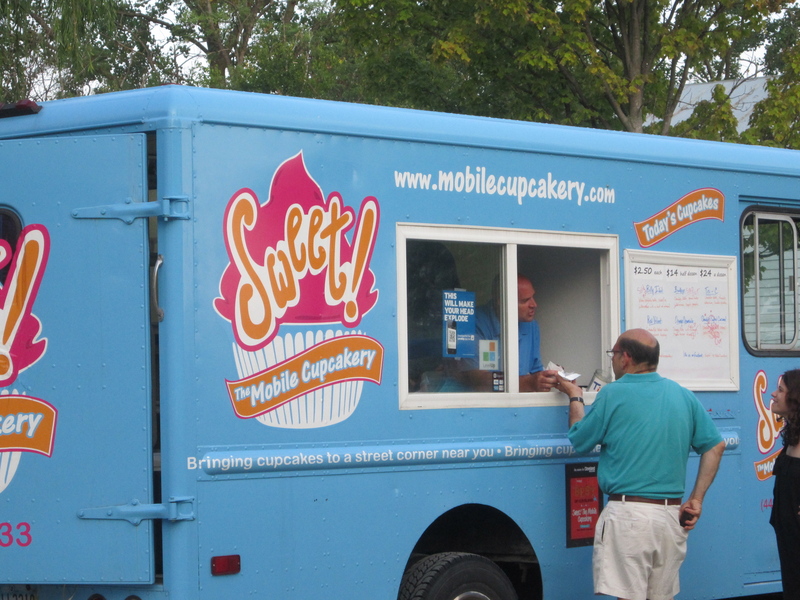 As expected, my favorite food truck was the cupcake truck, duh. I got a red velvet cupcake with cream cheese frosting and it was heavenly. I will definitely be on the look out for future food truck festivals. For dinner tonight I made this Crispy Ranch Chicken and it turned out delicious. 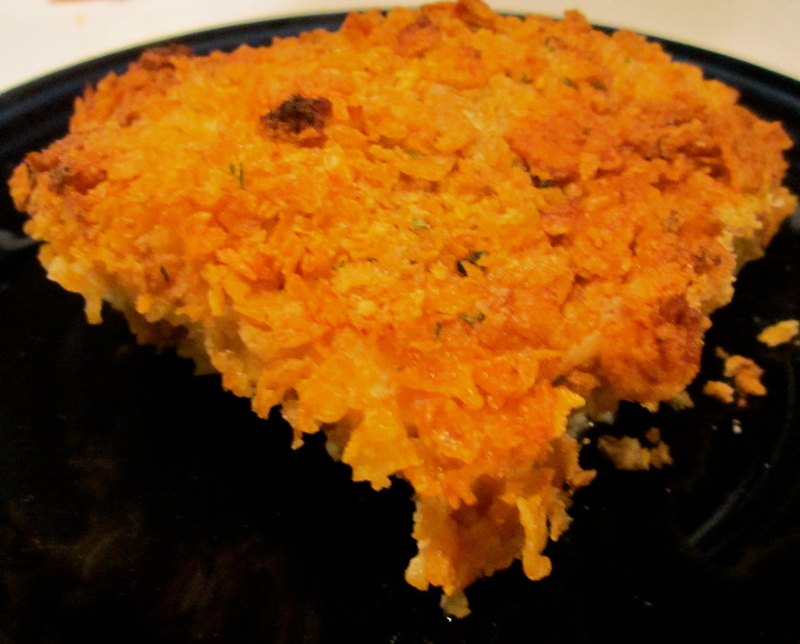 I love this recipe because it had a fried chicken crunch, but it was baked and relatively healthy! I modified this recipe from LaLoosh. 2. 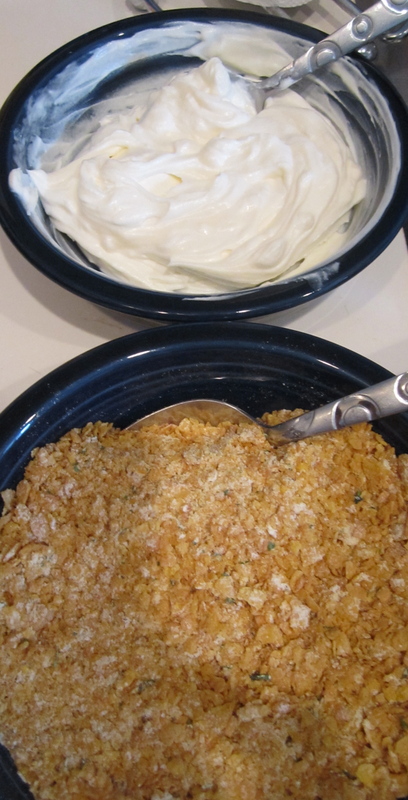 In bowl mix together sour cream and dijon mustard. Coat each chicken breast with sour cream-mustard combination. 3. In a large Ziploc bag, add the cornflakes and Ranch Mix, and crush cornflakes well. Place mixture in bowl . 4. One by one, put each sour cream coated chicken in the seasoned cornflake crumbs and coat chicken breast well with cornflakes mixture. 5. Place coated chicken in a 9×13 inch baking dish that has been sprayed with non-fat cooking spray. Mist chicken with non fat oil spray. Place in oven uncovered for 30-35 minutes until thoroughly cooked.